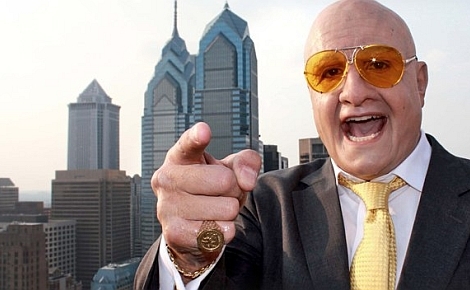 Kayvan Novak has confirmed what we told you weeks ago: a Facejacker movie is in development. Novak told a gathering of TV producers at a Square Eyes event that he is currently discussing the project with both Film 4 and Hat Trick Productions. The feel of the TV series won’t be lost in a big screen outing and he promises that there will still be a main focus on setting up members of the public. “The biggest mistake you can make with a prank show is remove the ‘real’ element, which is the funniest thing. It will definitely be hidden camera,” IBTimes UK reported. Novak previously revealed that a movie version would feature elements of both Facejacker and Fonejacker during an interview with Radio 1 DJ Vernon Kaye. In September 2008 he told The Sun newspaper that “if anything, he wants to do a film version”.